4DSP's fiber optic strain, temperature and 3D shape sensing technology represents a quantum leap forward for industries as diverse as automotive, aerospace, oil & gas, medical devices, and wind energy. It is changing the way engineers look at materials and the way they design their products. Far ahead of the curve, we ensure that our core values of integrity and product excellence translate into our customers' success. The future of fiber optics looks bright, and we are delighted to be the pacesetters. Customers can also purchase generic development cards for their own needs, or create a full design from needs for an industrial product. We provide courses to learn about PEGASE-Instrumentation and develop own solutions. Key points “UTC”: microsecond precision in a wireless world, remote control in real time of several PEGASE-Instrumentation, wireless sensor networks, energy efficient, can be deployed everywhere powered by a solar panel, web-clouding monitoring interface, available on PC, tablet and smartphone. PEGASE-Instrumentation benefits from competences, expertise and feedback from the IFSTTAR lab, partners as CEREMA and Power-Lan and customers as EUROVIA, COFIROUTE, COLAS, SNCF, GE Energy, DIR and more. Advitam is a group of Civil Engineers, Structural Engineers, electronic and software engineers who operate in the field of Infrastructure Management Solutions providers. We develop systems and applications that provide readily available, timely and accurate information for managers faced with the tasks of operation, maintenance, and rehabilitation of infrastructure. Advitam devotes itself to understanding the risks of deterioration of infrastructure and implements software solutions, inspection, maintenance and monitoring systems in order to ensure their durability and serviceability at lower cost. Advitam assists public and private contracting authorities – state and local authorities, manufacturers, and concession holders – with managing their built heritage. 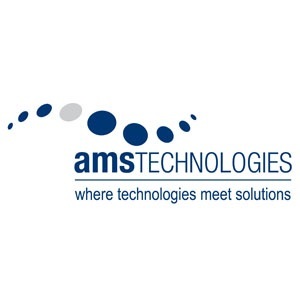 AMS Technologies is Europe's leading solution provider and distributor for Optical, Power and Thermal Management Technologies, with 30 years of experience to date and currently serving more than 1000 European customers. We are the specialists in both componentry and complete solutions for Optical technology, Thermal Management and Power Technology fields, with access to and long standing relationships with the most advanced manufacturers in each of those fields. Drawing extensively on our experience in each of these differing technologies, and coupling this with our broad system-level competence, we are able to offer seamless and comprehensive solutions incorporating complementary aspects from all three key technology fields. The 19th World Conference on Non-Destructive Testing in 2016 (19th WCNDT 2016) in Munich, Germany is organised by DGZfP. We invite all researchers, users, manufacturers and service providers from all fields of NDT to make an active contribution to the organization of an interesting and informative programme by submitting an abstract for oral or poster presentation. The call for papers will be published in January 2015. 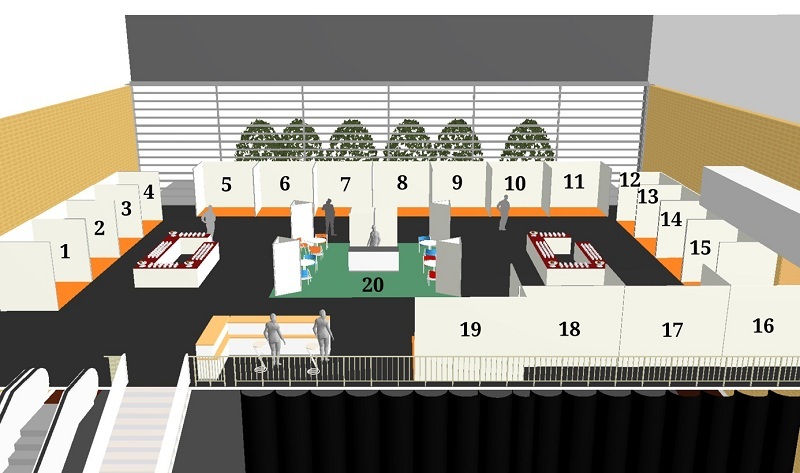 During the exhibition NDT service providers, NDT equipment developers and NDT research institutes will have the opportunity to present their newest developments, NDT applications and research results. For more information: www.wcndt2016.com. Eotech proposes a wide range of products for measuring roughness, surface, forms, shape, geometries, dimensions, deformation, displacement, vibration, color, lighting and light signals for improving processes, control or inspection. FiberSensing develops and produces in-house fiber optic sensor systems for advanced monitoring applications, based on Fiber Bragg Grating (FBG) technology. The company provides Sensors, Measurement Units, Software and Complete Solutions, primarily in a OEM basis, for the Construction, Energy, Aerospace, Industry and Transportation markets. Moreover, it has the ability to build customized monitoring solutions according the customer’s specific requirements. As a world leader in its field of expertise, FiberSensing is proud of having addressed more than one hundred different monitoring project around the world and delivered thousands of sensors and measurements units. Monitoring solutions based on FBG technology have proven cost effective when applied to large scale structures where hundreds of sensors are deployed for long term measurement of different physical parameters. The use of FBG allows the drastic reduction of cabling due to the intrinsic high multiplexing capability of the technology, ensuring low impact on the instrumented structures. Innovative products in term of Specialty Optical Fibers and Fiber Bragg Gratings. Capability to design, develop and manufacture custom products. Capability to develop specific products using both technologies: Fiber and components. Space qualified Product. Harsh environment (radiation) qualified products. Kinemetrics has been the world leader in the innovative design, quality manufacturing and timely supply of earthquake instruments for over 44 years. ISO 9001:2008 certified, Kinemetrics provides seismologists and structural engineers with the highest-quality, most cost-effective seismic instruments on the market. Open Systems & Services (OSS) goes beyond instrumentation; we are a world-leading, multi-disciplinary team of geoscientists, earthquake engineers, and information technologists. We specialize in the design, integration and implementation of custom seismic and structural monitoring systems. Our complete array of comprehensive systems and services, including project consulting and documentation, are designed to protect human lives, capital assets, and critical infrastructure investments around the globe. MISTRAS is a leading "one source" global provider of technology-enabled asset protection solutions used to evaluate the structural integrity of critical energy, industrial and public infrastructure, having more than 40 years of experience. As the largest and most experienced non-destructive testing (NDT) and structural health monitoring (SHM) company in the world, MISTRAS’ expertise can be applied to many industries and clients: public infrastructures (bridges,…), wind energy, nuclear industry, aerospace industry, refineries, power plants. Mission critical services and solutions are delivered globally and provide customers the ability to extend the useful life of their assets, improve productivity & profitability, comply with government safety and environmental regulations and enhance risk management operational decisions. As the recognized leader of acoustic emission (AE) technology, MISTRAS designs, manufactures and markets AE sensors, systems and software for laboratory and on-line industrial clients. MISTRAS offers high-end ultrasonic imaging equipment and systems, a variety of PdM services and vibration sensors, instruments and on-line plant asset integrity management systems for internet/intranet based predictive maintenance, and provides a complete range of inspection, training, QA/QC and proprietary Plant Condition Monitoring Software (PCMS). With worldwide locations and over 5000 skilled employees, MISTRAS Group is the best choice for honest and reliable Structural Health Monitoring and infrastructure needs. For over 15 years, National Instruments has provided tools and solutions for asset condition monitoring applications spanning power generation, oil & gas, mining, transportation & heavy equipment, and manufacturing. Our extensive offering of products for machine diagnostics, on-line predictive maintenance and test cell applications includes embedded intelligent monitoring, computer plug-in monitoring boards, and software for vibration analysis and prognostics. These offerings are available in both an interactive configuration-based environment, NI InsightCM Enterprise, and the NI LabVIEW graphical programming environment. National Instruments embedded control and monitoring systems, including NI LabVIEW software and NI reconfigurable I/O (RIO) hardware, combine the ruggedness and ease of use off-the-shelf systems like programmable logic controllers (PLCs), PC-based systems, and single-board computers (SBCs) with the specialization of custom hardware. All NI RIO hardware products (CompactRIO, Single-Board RIO) are built on an architecture that features powerful floating-point processors, reconfigurable FPGAs, and modular I/O. And with LabVIEW, the ability to customize hardware and integrate custom timing signal processing, and high-speed control without requiring expertise in low-level hardware description languages or board-level design. Founded in 2001, OSMOS is the world-wide leader in "structural health surveillance". Its cutting-edge technologies are used in 24 countries and have been established in Canada, Japan and Germany, through leading corporations. Its unique concept is based on the Optical Cord, a patented solution that is able possible to detect, in real time, structural weaknesses in all types of buildings. OSMOS offers more than just an innovative technology, however; it offers a true turnkey solution, with the only method capable of ultra-anticipatory flaw exposure on the state of any structure. POLYTEC Group, the market leader in electro-optical metrology since 1967, has nearly 400 employees worldwide and a turnover of € 60 million. Manufacturer and distributor, Polytec offers optical solutions for fast and accurate measurement and control without contact, real-time acquisition, nondestructive testing and a wide range of complementary optical products. The Polytec innovative solutions allow customers to maintain their own technical leadership across many fields in Public Domain (Education / Research) and Industry (Automotive, Aerospace, Defense, Electronics, Food ...). The French subsidiary of Polytec France SAS is organized around four technical and scientific activities among: laser vibrometry and profilometry, analytics, vision / photonics and polymers. 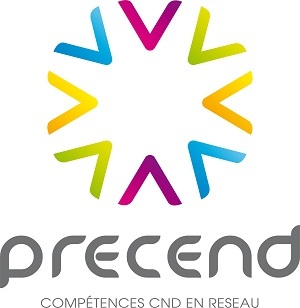 Precend is a regional innovation platform which regroups forty centers of expertise in non-destructive testing (NDT) and structural health monitoring (SHM). Precend’s objectives are animate, develop this network of expertise and make it available to the industry. Alticontrole: Services company with certified technicians according to EN 473 and ISO 9712: penetrant testing, magnetoscopy, ultrasound, TOFD, Phased Array, in accordance with your specifications and with applicable codes and standards. ECND-PdL: It is a scientific interest group that brings together the twenty laboratories present in Les Pays de la Loire region on the topics of NDT and SHM. Image ET: IMAGE ET offers solutions for externalized non-destructive X-ray control, with new technologies and open-source software developments. We are able to provide you an internal non-destructive control solution. Sciensoria: Sciensoria is a research company specialized in electromagnetic nondestructive testing. We design and manufacture our own data acquisition systems, devices, sensors, and softwares for detecting hidden flaws, inaccessible objects, or measuring materials properties. Specially for electrical conductivity of carbon composite material or electrical conductivity and thickness of plates and tubes. Terahertz Waves Technologies: Terahertz Waves Technologies designs and develops very innovative systems for measurement, inspection and characterization into the matter, providing 3D, real time, macro-molecular scale data by a non-destructive, non-invasive, contactless and safe technology. SCAIME is a world player in measurement for industry. Our innovative solutions will meet the needs of many industries such as civil engineering, chemicals, food & beverage, metallurgy, aeronautics, medical, packaging... Combining a renowned quality and technological expertise, we offer a full range of standard or custom designed measurement solutions: Indicators, data acquisition systems, load cells, strain gages transducers and fiber optics sensors. Our fiber optics solutions include a range of industrial acquisition unit and sensors to measure deformations, displacement, tilt, acceleration, pressure, temperature... with a strong focus on robustness, reliability and ease of use. Recognized specialist in studies, inspection, controls and preventive monitoring of ageing structures and environments, SITES quickly imposed itself in the world of nuclear power plant, bridge, dam manager, infrastructures… The company, since its creation in 1984, uses, develops, implements, combines the skills and performance tools to make sure of their durability and smooth operation of this structures. Our success in France (5 offices – Paris, Lille, Tours, Lyon, Aix-en-Provence) has allowed us to export our know-how. This opening up to globalization is characterized by the creation of permanent offices in Asia, North Africa, and South Africa. EDF, Bouygues TP, Areva, Aéroport de Paris, SNCF, Vinci, Le Louvre… trust us and work with us since years. With a broad range of FBG fiber optic sensor and interrogator products and a wealth of applications knowledge, we serve the world's leading companies and institutes by developing practical fiber optic sensing solutions in many market areas including oil and gas, aerospace, renewable energy, marine, and civil engineering. PRESCAMEX, ISO9001 accredited company, is proud to be the exclusive distributor of all Smart Fibers sensors and interrogators for the French market. Structural Vibration Solution A/S was founded in 1999 as a spin-off company from Aalborg University in Denmark. We are focused on the mission to be the leading provider of Operational Modal Analysis solutions in the world. Our software ARTeMIS helps our customers to determine and solve vibration issues in the vast number of cases where the excitation cannot be measured or controlled. The software is used by engineers all over the world for modal analysis of all kinds of structures. We are introducing a new Statistical Subspace-based Damage Detection Module in the upcoming ARTeMIS Modal Pro to be presented at the EWSHM 2014. Masters of Sciences in Mechanical and Civil Engineering provide an expert knowledge in structural and material engineering, numerical methods and more specialized courses in monitoring technology, data statistical analysis and modeling, maintenance optimization, life cycle analysis and probabilistic modeling. Their team are involved in GeM laboratory (UMR CNRS 6183, Université de Nantes, Ecole Centrale de Nantes). When focusing on SHM, this team is engaged in various partnerships with big societies (TOTAL, EDF, STX, DCNS, Port Authorities, …) and SMEs (OXAND, PHIMECA, …) has two main patents and publications in peer-reviewed journals (more than two per academic position per year) and projects supported by national governments (French: MAREO, EVADEOS, …) or European Community (MEDACHS, DURATINET I and II). Finally this group is involved in the commercial subsidiary of Université de Nantes, CAPACITES with a business unit called IXEAD. Université de Nantes will illustrate these competences in pedagogy and research through at least two illustrations during the exhibition: a physical model of a wharf monitored with Fiber Optical Sensors for pedagogical applications and a patent for measuring local 3-D strains in massive materials (concrete dams…. ).